One of Dark Souls 3's most difficult bosses has been defeated in dizzying self challenge. The accomplishment is full of unbelievable parries and stripping. iHardlyTriHard Gaming faced down the dangerous Champion Gundyr. The challenge was involved. When Gundyr attacks, they spin 720 degrees before parrying behind their back. Then then attack and perform the “Praise the Sun” gesture for some extra swag. Finally, they remove some armor before switching to a new weapon on the fly. It’s a wild bit of play that takes advantage of one of Dark Souls 3's odder mechanical touches. 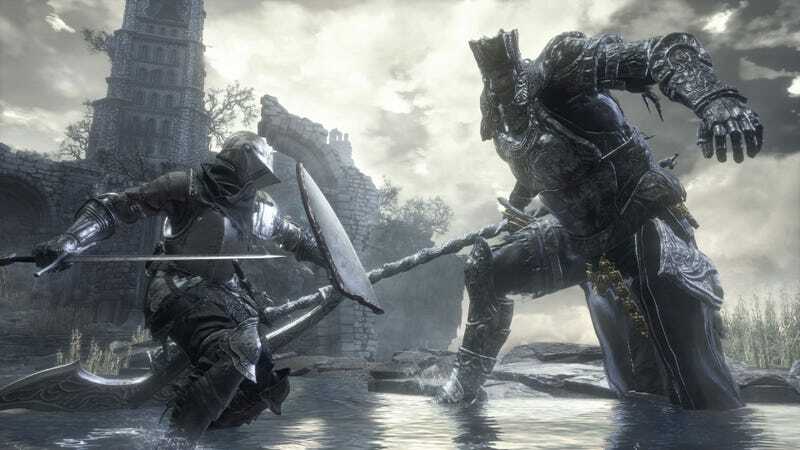 Parrying in Dark Souls 3 doesn’t simply allow for players to deflect attacks from the front. When players parry, the game essentially creates a small zone where an attack can be deflected. With the right timing, it is possible to parry attacks from most directions including behind. The end result is a stripteasing warrior who managed to utterly humiliate one of the game’s deadliest foes. Viewers are completely gobsmacked. Which is a word I’ve always wanted to use. It’s a little bit like those moments in anime when the protagonist removes their training weights but with at least thirty percent more naked. Well done, brave unkindled one. Surely, you are the hero who will link the fire.